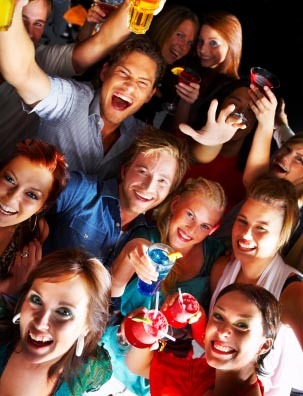 Below is a list of 21st Birthday Party Ideas. 21st Birthdays are usually celebrated with great enthusiasm and can get a bit wild, not least because of finally being able to drink legally. So if you're throwing a party at home keep in mind that it's bound to involve loud music, lots of drinking and it will no doubt go on late. Therefore be considerate to your neighbours by giving them plenty of advance notice and explaining that it's a 21st birthday party (we've all had one so most neighbours will be prepared to cut you some slack for special occasions like this). For 21st birthdays it's inevitable that there's going to be lots of drinking, so try to counter this by having plenty of carb-heavy food to help absorb alcohol and provide energy. For hot food, simple dishes like chilli / curry with plenty of rice, pasta, pizzas, burgers, jacket potatoes, filled bagels, or Chinese food is fine. You really don't need to worry about being fancy with the food, 21 year olds are really only going to be interested in the drinks anyway. It's always a good idea to bring out some extra snacks later in the evening after people have been drinking for a few hours. Even at some of my most sophisticated parties, like Elton John's White Tie & Tiara Ball , we always served breakfast bites (such as mini toasted ham and cheese sandwiches) at around 1am to soak up some of the alcohol and provide some fuel for the dancefloor. Plan for the fact that some people will inevitably get too drunk by having plenty of coffee and water available to sober them up if needed. Be prepared with details of a local taxi service for getting guests home (if it's a big party, give the taxi firm advance warning so you don't end up waiting hours for a cab because they're not prepared for a busy night). Alternatively you might want to prepare some extra bedding for those who end up having to stay the night. And for the morning after, I swear by Berocca (we actually included these in 'hangover kits' at Stella McCartney's wedding for guests such as Madonna , Gwyneth Paltrow and Paul McCartney. A soluble multi-vitamin from Roche, it includes vitamins C and B, zinc, magnesium, sugars and salts and boosts energy levels (without caffeine or taurine) so is the perfect antidote to a hangover—along with a hearty breakfast. 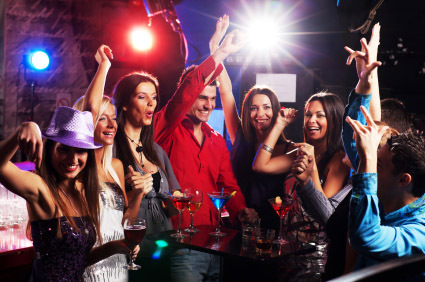 If you don't find any 21st birthday party ideas you like in the list below, be sure to check out Party Themes A-Z incase something from a different category catches your eye. Most party themes can be adapated to suit different ages with just a little tweaking. 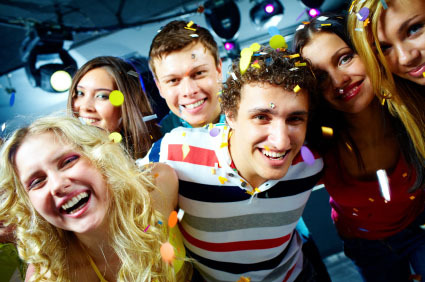 If you have some good 21st Birthday Party Ideas (or you've tried one of my ideas from the list above) share details with other party-ideas-by-a-pro.com visitors. Use the form below to submit your 21st birthday party ideas.